Just weeks after closing a $100 million capital raise, Chicago-based Cresco Labs is growing again – this time through acquisitions in Arizona and Illinois. The multistate cannabis firm announced that it has acquired Arizona Facilities Supply, which provides management services to Encanto Green Cross Dispensary. Encanto is licensed to cultivate, process and dispense medical marijuana across the state. 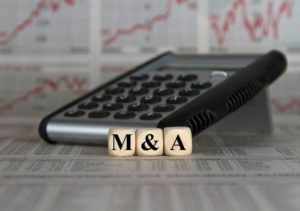 The deal adds two cultivation sites, a processing facility and a dispensary to Cresco’s Arizona portfolio, which already includes a cultivation and dispensary operation. Terms of the deal, which included cash and equity considerations, were not disclosed. Cresco also signed a definitive agreement to acquire FloraMedex, a medical cannabis dispensary located in the Chicago suburb of Elmwood Park – Cresco’s third acquisition in Illinois. Cresco Labs also has operations in California, Nevada, Ohio and Pennsylvania. “Our growth strategy from Day One has been set on having a national footprint,” Cresco CEO and co-founder Charlie Bachtell said. The firm has a license pending in Michigan and is targeting additional acquisitions in New York and Florida.